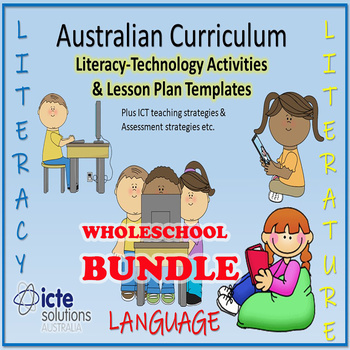 In the Australian Curriculum, the integration of digital technologies in key learning areas such as English is known as ICT capability. Discover the tools and expertise to effectively develop student ICT capability alongside English/literacy lessons! Over 20 activities in every book. Fill in the blanks using our Literacy-ICT lesson plan templates. See our preview for more insight how these resources can help you and colleagues shine in front of your students and develop their literacy with ICT today.